It is pouring rain. 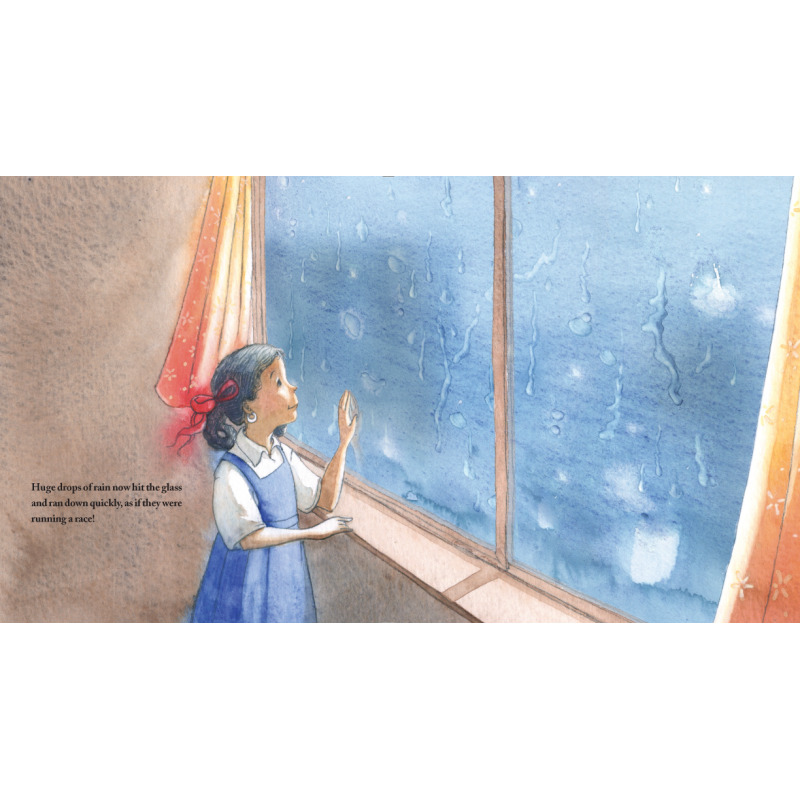 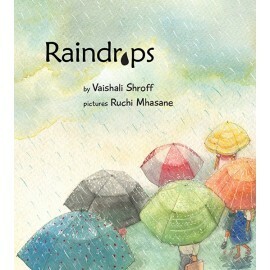 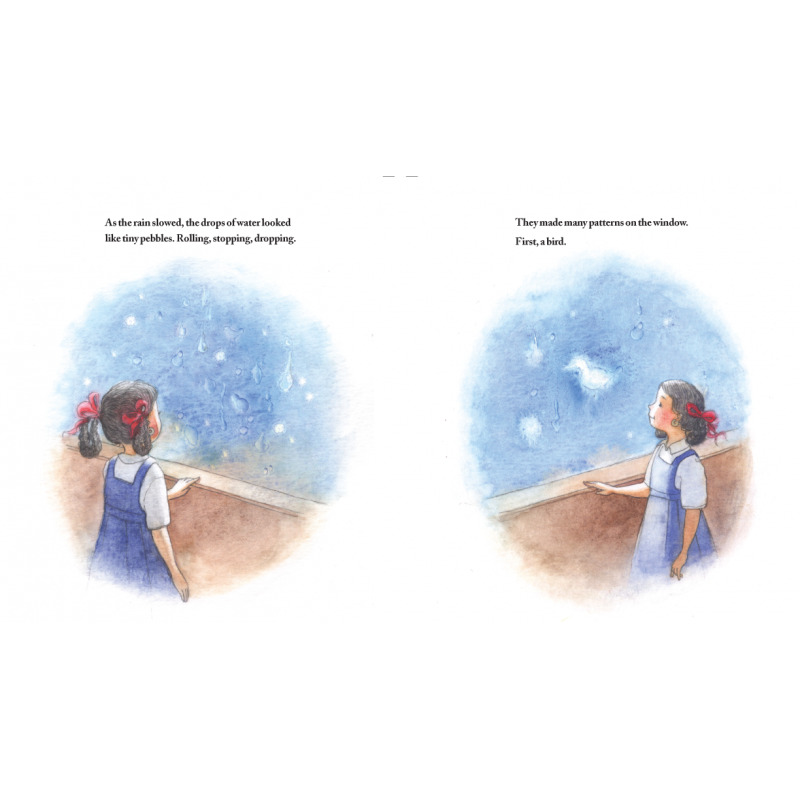 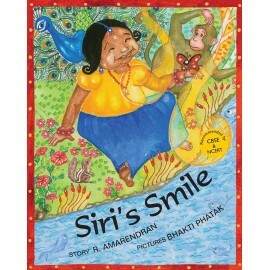 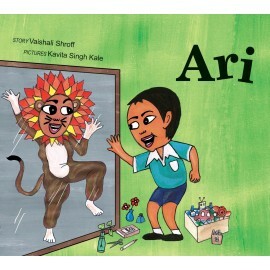 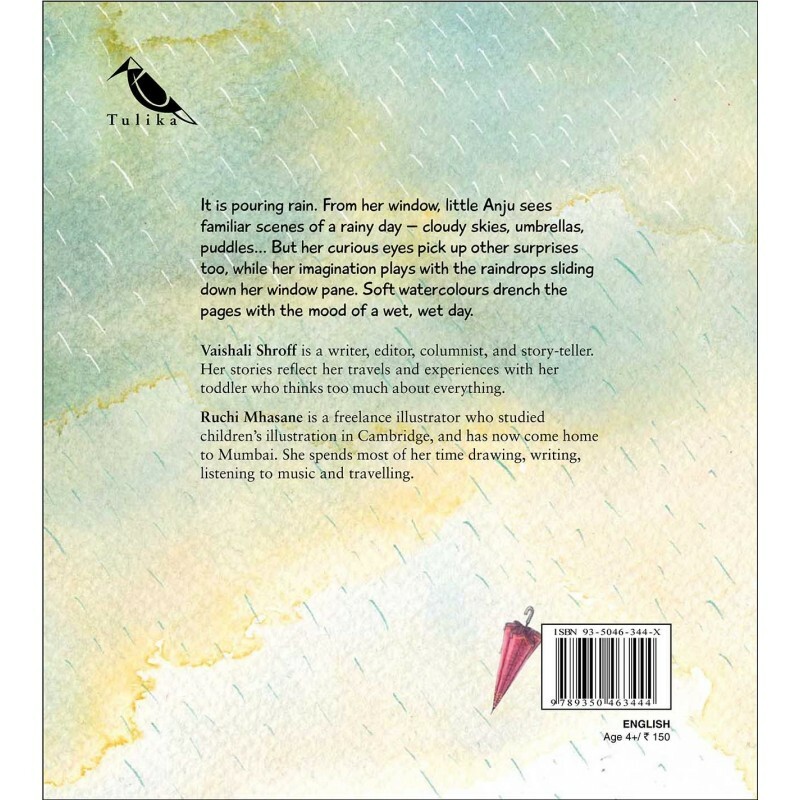 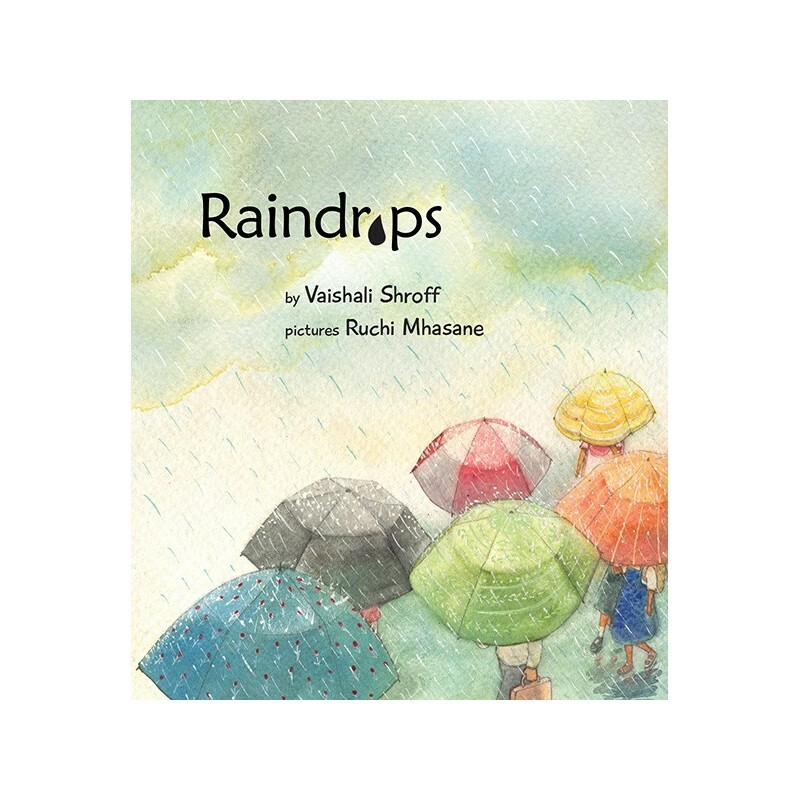 From her window, little Anju sees familiar scenes of a rainy day – cloudy skies, umbrellas, puddles… But her curious eyes pick up other surprises too, while her imagination plays with the raindrops sliding down her window pane. 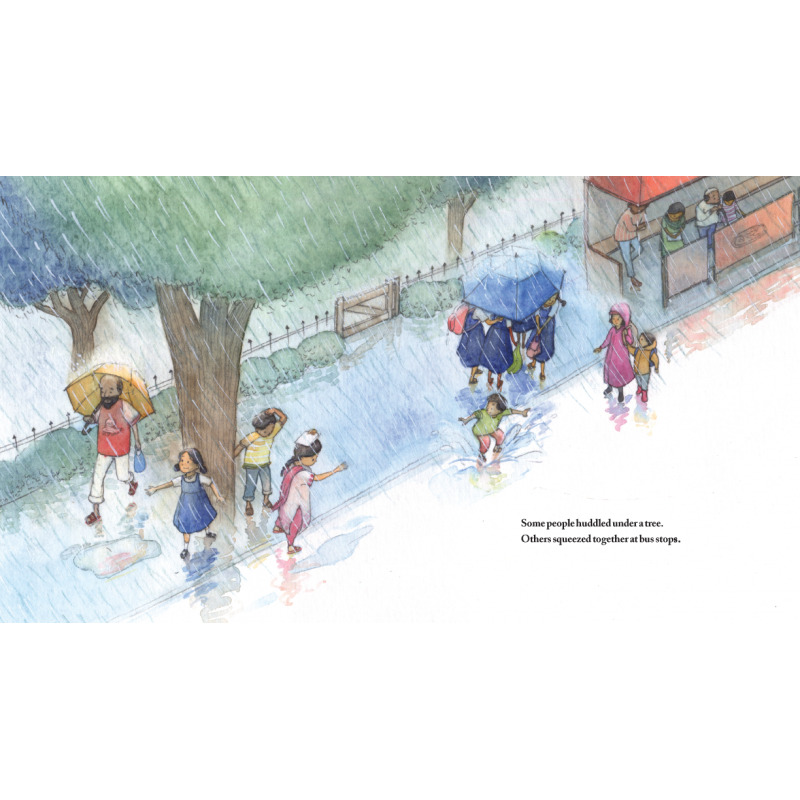 Soft watercolours drench the pages with the mood of a wet, wet day.